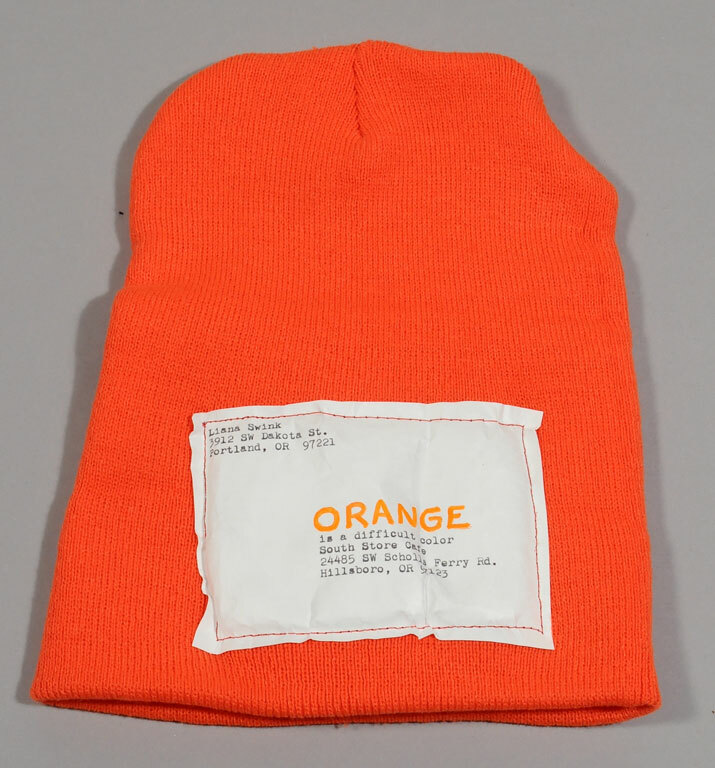 This hat is the most orange thing I could find. I hope it travels safely through the mail, and look forwards to seeing it alongside your Orange mail art at the South Store Cafe! This entry was posted in Sent and tagged Knitted, mail art, mixed media, Orange. Bookmark the permalink.